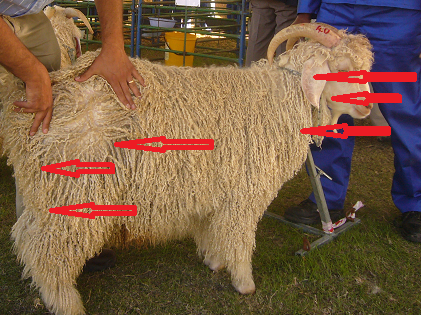 Abscess formation in Angora goats is not an uncommon finding. The infection that causes the abscess must come through a break in the defence system usually through the skin or mucosa. What are the offending bacteria? Abscess formation can however be caused by a number of bacteria such as Escherichia coli (E.coli) derived from the umbilicus or gastro-intestinal tract. 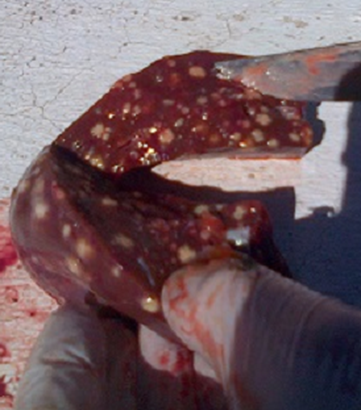 Photo of a liver where angora goat rams on concentrate feed developed multiple liver abscess. (photo cut section of the liver demonstrating the abscess’). Corynebacterium - thick semi-fluid yellow-white to green-white pus is formed. Chronic abscess are surrounded by a well-developed capsule which can lead to an onion ring appearance. Actinomyces – abscess is soft when compared to Corynebacterium and develop rapidly and the capsule is not as developed. The pus is usually green-yellow or greyish. C.pseudotuberculosis usually occurs in lymph nodes which drain the area of penetration. Sites of the common lymph nodes where Corynebacterium abscess may be seen. The different bacterial abscess can be determined by bacterial culture. The abscesses are also called caseous lymphadenitis or cheesy gland and is characterised by abscess formation in one or more glands but can in rare cases cause pneumonia, hepatitis, mastitis, orchitis, arthritis and perinatal deaths. The bacteria can survive on floors for 10 days and for months and even more than a year in debris of hay or bedding. The organism can survive in dipping fluids for over a day. Central nervous system- In goats the pituitary abscess syndrome is most common. The clinical signs can resemble heartwater without a fever. Treatment is not effective. Gastro-intestinal tract- especially secondary to ‘nodular worm’. Dosing gun injuries. Grass seed penetrations. 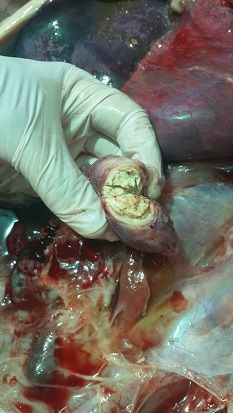 Respiratory and cardiovascular systems- a chronic purulent pneumonia and abscess formation as seen in the angora goat lungs below. Genital tract – orchitis, epididymitis in rams. 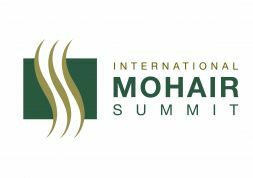 It is important to ensure that there is no environmental contamination of sheds, pens, kraals, dipping tanks or clothing from contaminated faeces or discharge from abscesses. Even inhalation may lead to lung abscess and ingestion of infected material has been reported to be the cause of mandibular abscess in goats. Do not contaminate the environment when lancing and flushing superficial abscesses. Shed floors should be disinfected with 3% formalin a week before shearing. Under intensive conditions disinfect umbilicus of kids after birth with antibiotic sprays. Infected goats act as a reservoir of infection culling infected goats is advisable. In valuable goats the abscess can be removed surgically or lanced. It is important that infected material be burned. The effectiveness of antibiotics is limited due to the capsule surrounding the abscess and the fact that the bacteria (Corynebactrium) are intracellular. Don’t lance abscess inside sheds as contamination likely. Vaccination should only be considered when all attempts have been made to rule out the predisposing factors. Vaccination will not cure the problem but help reduce the occurrence.